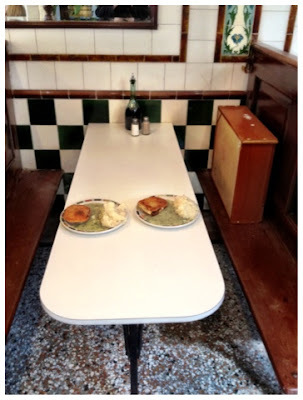 All The Live Long Day: L. Manze - Pie & Mash (and Jellied Eels). L. Manze - Pie & Mash (and Jellied Eels). 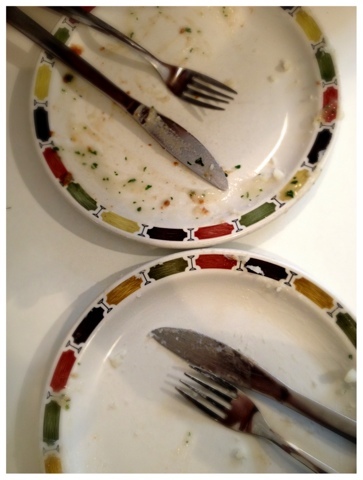 On Saturday, Marco and I were out shopping down the market during lunch and decided to have something to eat at L. Manze. L. Manze is a pie & mash shop near where we live and I had been wanting to try it for a long time. 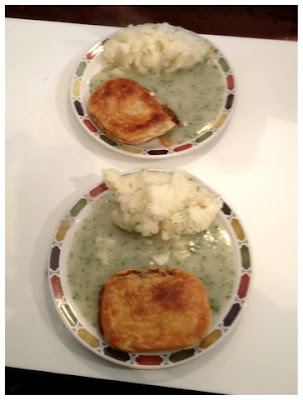 Pie & Mash is what they serve, in various portion sizes. You can also order the East London staple of Jellied Eel, but in all my time here I have not yet been brave enough to go down that route. One day. The shop bakes their own pies in old-fashioned metal pie dishes and they then get served with mashed potatoes and liquor, which is a parsley sauce. It's simple, delicious and filling. 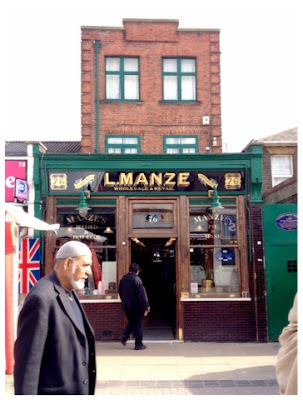 L. Manze was opened at the beginning of the 20th century by an Italian immigrant who build up somewhat of a pie & mash emporium in London. 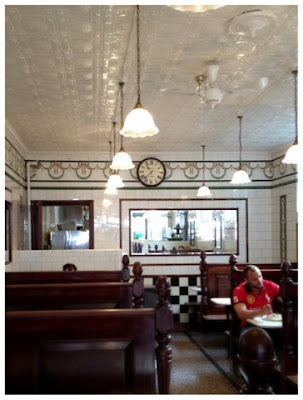 This particular shop still has all the beautiful original fittings: tiled walls, floor and ceiling, large mirrors, an ornate cash register and wooden booths. 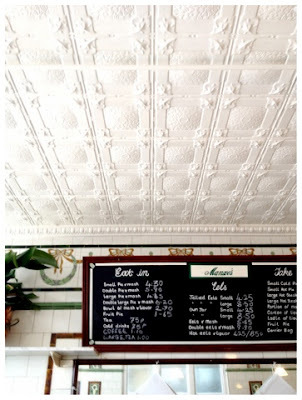 The staff was friendly and there was a steady buzz of customers while we were eating. I would thoroughly recommend this restaurant for an authentic East London experience. 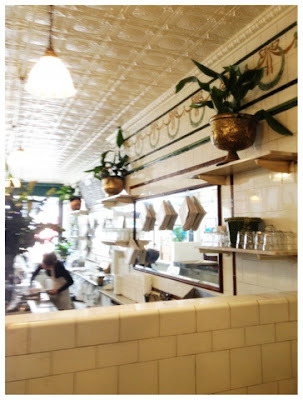 That place is so pretty! I might try it if I come out east again soon! 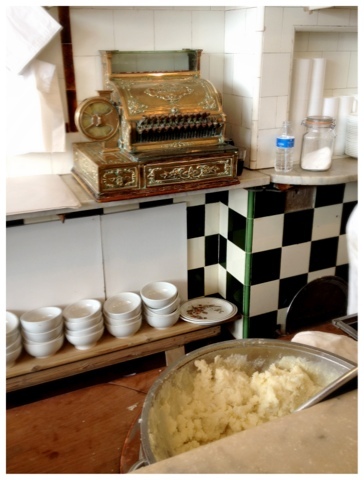 I also am not brave enough to try jellied eels. It isn't so much the eel part as the jelly part that puts me off. 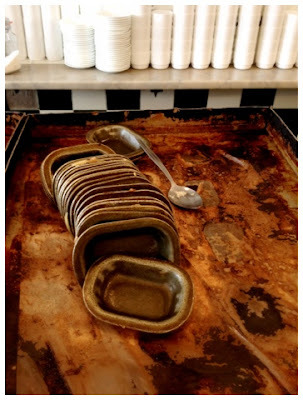 For the sake of your readers, you now have to try the jellied eel. And, we need photos. Why Being Depressed Makes Me Happy. Herman. The Cake That Keeps On Giving. Eleven Questions. No, wait. 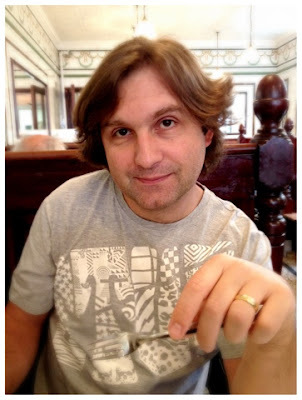 Twenty-two Questions!